Bolder flavors, natural colors and better cultures are available for ice cream, Greek-style yogurt and other dairy products, so let the innovation begin. Pierre's started with French style-ice cream, distinguished by the use of egg yolk as a texturant. Eggs have played a significant role in ice cream formulation, and are generally considered a mark of a premium product. Much more recently — in 2009 — Pierre's rolled out Yovation, a new generation of frozen yogurt that includes traditional yogurt cultures and a specially selected strain of probiotic culture. Yovation has taken Pierre's into new markets, Hindulak says, and it is now sold nationally. New flavors introduced in 2013 include Vanilla Pomegranate Blueberr, and Black Cherries & Chocolate Chunks. Flavor excitement is also crucial to the success of Black Dog Gelato, a boutique ice cream maker in Chicago with roots in the city's culinary industry. Founder Jessica Oloroso is a pastry chef who had worked with Stepahnie Izard, (of Chicago's dessert-centric Hot Chocolate restaurant) before launching her own sensation in 2007. Oloroso now operates two stores in the city and buys fresh ingredients from restaurant purveyors to make small batches of gelato with imaginative flavors such as Strawberry Balsamic and Goat Cheese Cashew Caramel. Ice cream and frozen dairy novelty manufacturers must offer that flavor excitement (whether it's traditional and nostalgic or creative and cutting edge) within a framework of broader food trends. Consumers are more particular than ever. Some are more concerned with health and nutrition, even when it comes to choosing a dessert, but indulgence is a major factor, too. While developing classic ice cream products may seem like nothing new under a blue moon, new ingredients and flavor options offer plenty of opportunity for innovation in ice cream and other dairy segments. Pierre's uses GanedenBC30 (Bacillus coagulans GBI-30, 6086) as the active probiotic ingredient in its Yovation line. An added attraction, she notes, is that the supplier, Ganeden Biotech Inc., is also located in Cleveland. A 2010 study showed evidence that BC30 is better able to survive in the digestive tract and travel into the intestines where it can do the most good. This is due to the fact that it forms gram-positive spore rods, which can withstand the acidic environment of the stomach. Additionally, a 2009 study found that BC30 may help relieve some of the abdominal pain experience by patients who have been diagnosed with Irritable Bowel Syndrome. BC30 is also the active culture that is used by Red Mango, a Korean-style frozen yogurt specialist. Cultured dairy products such as yogurt provide the best nutritional proposition of any dairy products, but other dairy products also can be made in a more healthful fashion. This would include low-fat milks, flavored milks made with less sugar per serving and/or natural sweeteners. In the past decade, a new category of low-calorie ice cream has emerged in the form of what is commonly called churned ice cream. This group of ice creams, sometimes made with special freezing techniques, generally have up to a third less calories and fat but maintain organoleptic properties very similar to those found in traditional premium ice cream. Pierre's offers low-sugar product lines made with Splenda sucralose sweetener, churned products, and fruit sorbets in addition to Yovation. Like most regional ice cream makers, it also has a broad portfolio of traditional-flavor products and some indulgent product lines. “Over 90 percent of American households enjoy ice cream and frozen treats, so innovation has played an important role in the growth of Pierre’s diverse assortment,” Hindulak says. Fruit flavors continue to be a big part of ice cream and frozen desserts, and Pierre's puts fruit flavors to work in its ¡Hola Fruta! line of sorbets and fruit bars. Pierre’s ¡Hola Fruta! Fruit Bars are made with real fruit and are naturally free of fat, cholesterol and gluten and even are dairy-free. These 1.65-oz. snack-sized frozen treats are certified kosher. Each bar ranges from 50-56 calories depending on the flavor and offers a good source of vitamin C per serving. Blue Bell Creameries, Brenham, Texas, is another regional ice cream maker that's big on flavor innovation. Blue Bell offers seasonal and rotational flavors, some with a particular bent toward southern desserts and a favorite Texas ingredient — the pecan. Ciao Bella of New York makes super premium gelatos and sorbets with ingredients such as blood orange, key lime and pistachio. Ciao Bella recently launched a line of Gelato Squares, small, hand-held sandwich-type snacks with flavors that include Key Lime Graham and Belgian Chocolate S'Mores. Ciao Bella also offers a triple espresso flavor that includes espresso concentrate, coffee concentrate and ground coffee. Back at Black Dog in Chicago, flavors that combine savory and sweet are creating excitement and they have come to be expected by customers, Oloroso says. Especially at the original location in the Ukrainian Village neighborhood, adventurous consumers are happy to try flavors that include blue cheese or bourbon, as well as the signature Goat Cheese Cashew Caramel. So what does she expect to emerge as this year's ice cream flavors? Not that she doesn't pay attention to trends, but Oloroso says she spends more time trying to invent something unique than trying to match the latest perceived consumer interests. “I try to keep my head down and create by what inspires me,” she says. “I steered clear of salted caramel for a long time because I tend to stay away from what is supposed to be the next hottest flavor. But I think the salty-sweet-savory combo approach is something that will not go away anytime soon. Broader dairy-applicative flavor trends that could emerge or continue to thrive in 2014 include tropical fruits, intense chocolates, super fruits and salted caramel. Since 2008, stevia has been gaining approval and acceptance in the U.S. and major trading markets, and the sweetener has become more available in easier to use forms. The naturally derived plant extract has been used successfully in numerous beverage categories. It also is a natural for dairy, says Melanie Goluson, Truvia stevia leaf extract application manager for Cargill, Minneapolis. In addition to its well known cheeses, Tillamook County Creamery Association, Tillamook, Ore., also makes a full line of dairy products including ice cream and yogurt. It recently used Cargill's Truvia stevia leaf extract to reformulate its light yogurt line. The dairy industry has responded to criticisms about the sugar content in flavored milks served to children (especially in schools where soft drinks have been demonized) by working to reformulate chocolate milk and other flavored milks. This is one opportunity where stevia makes sense. In addition, there are numerous natural color options available that can work for products such as strawberry milk. Keeping flavored milk attractive to children while curbing sugar or artificial ingredients will bolster the dairy industry’s argument that milk is a nutrient-dense food that is good for overall health and nutrition. While stevia is a relative newcomer to the commercial ingredient market, honey has been available for much longer, but is also finding its way into more dairy products. This is especially true for Greek-style yogurt, where honey is part of the tradition; and, after all, Greek-style yogurt is where the action is in dairy. A recent study conducted by the NPD Group indicated the overall yogurt category is clearly and firmly showing double-digit growth, not only at retail but also in foodservice. 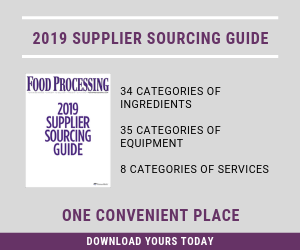 “Total dollar volume of yogurt shipped through foodservice distributors to foodservice outlets grew 10 percent and units shipped [grew] by 7 percent in the year ending September 2013 compared to a year ago,” the firm said in a press release. Those figures come from NPD’s SupplyTrack, which is a monthly tracking service that tracks every product shipped through leading broad-line distributors to foodservice operators. Retail sales of yogurt also have grown steadily in recent years, and retailers have made room for wider variety. Cultures are crucial for yogurt products, but so are flavors, fruits and sometimes texturants and colors. Sweeteners come into play too. When developing yogurt, formulators need to first decide who their target consumer will be, because the variety of yogurt products has expanded to meet the special needs of different types of consumers. Category leaders like Chobani, Dannon and General Mills offer a broad cross-section of products in an attempt to reach as many different consumers as possible. They also reformulate products to meet changing consumer expectations. At the 2013 American Cheese Society Judging and Competition, held last summer in Madison, Wis., 257 North American artisan cheese makers companies submitted 1,794 different products for judging. From those entries, the Cellars of Jasper Hill's Winnimere was awarded best of show. A full-flavored cows milk cheese washed in locally made craft beer, Winnimere has been a favorite of artisan cheese fans since it was developed about a decade ago. The Cellars at Jasper Hill, Greensboro, Vt., is one of the most successful artisan cheese companies in the U.S. The company is an outgrowth of a family-owned farmstead cheesemaking operation, Jasper Hill Farm, but the the Cellars now ages and markets numerous cheeses including cheeses made by other Vermont artisans and cheese Jasper Hill makes in collaboration with other cheesemakers. Those cheeses are sold in specialty shops, Whole Foods Markets and other retail outlets coast to coast. Coffee chain will use its acquired 'Evolution Fresh' brand.